If you would like to enjoy a private excursion on the beautiful waters off the shores of the Bahamas, we offer a number of excursions that will entertain everyone in your group. 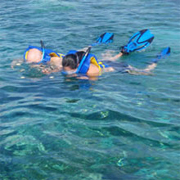 If you love water-based activities, the splendid warm waters surrounding our lovely islands offer the perfect setting. This is the perfect gift to give to your family or friends, and enjoy excursions just for your group for a memorable vacation. With these types of tours, there is no fighting over your turn to do the activity, and feel secluded as your family or group of friends are the only ones aboard these tours. 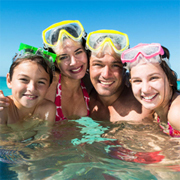 Consume every smile and laugh your family and friends will have on the adventure while also taking in the natural beauty of the tropical atmosphere and swimming in the open ocean. Each of these small boats can carry a party of up to 6 passengers, and vary with times and how long each tour is. 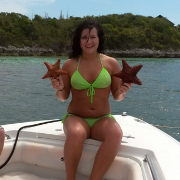 Try a Bahamas private charters tour we have many to choose from. The Bahama Boat Ultimate Package lasts 4 hours and takes their passengers to various historical sites including the markets and bazaars of Potters Cay, and the internationally-known One and Only Ocean Club, which has been catering to the elite for over 45 years. After the historic tour, the guide will take you and your passengers to the coral reef gardens and lure the fish with food. Want to do more water sports and want to be in the water more? 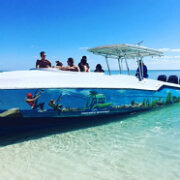 Try the Bahama Boat Water Sports Package to get the thrill of snorkeling, tubing, or wakeboarding across the crystal clear turquoise waters of the Bahamas. If you want something that is all of this, but shorter duration of a tour, than look no further than the Bahama Boat Snorkel & Water Sports package, which gives you the chance to have the same thrill for two hours. The most comprehensive Bahamas private charter on the island. Combines sightseeing with snorkeling, a private beach stop, and fishing for a Bahamas adventure that showcases all the best that this unique Caribbean island has to offer. 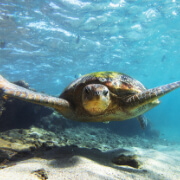 Whether it's sightseeing, snorkeling, or water sports, this tour has it all! We take small groups of up to six out to the most amazing locations along the Nassau coastline to explore the sights above and underneath the water!